Ever dreamed of bringing Hollywood into your own home? Acoustic Frontiers has all the equipment you need for a home theater experience that transcends commercial cinemas. Most speakers and subwoofers are inadequate for reproducing the uncompressed soundtracks found on today’s Blu-Rays at the SPLs expected by enthusiasts. Choose the wrong speakers and you’ll have no hope of reaching THX reference level. And even if they do reach, it probably won’t be for long. So what do you need? Specialized, high-output devices designed for the specific task, not audiophile crossover speakers that try to be all things to all people. For highest performance you’ll need electronics that can be hand-tuned by an experienced calibrator. That means steering clear of the ‘press a button and hope for the best’ calibration (aka automagic) found in most AVRs and Pre-Pros. The high-end home theaters found in the CEDIA awards magazines don’t use Audyssey and neither should you. For screens you’ll want acoustically transparent, so the center speaker can go behind the screen. Select a large screen to give you that cinematic immersiveness. And be sure to pair it with a high-output projector. Many enthusiasts work off specification sheet lumens when planning their theaters; they never realize that the real calibrated light output is often only one third of the specification sheet value. Acoustic Frontiers’ Audio Design and Video Design services determine the functional requirements for your home theater equipment. 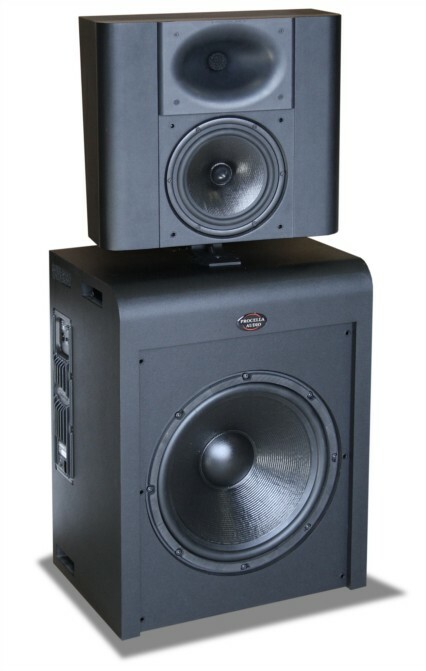 Our process establishes the power handling and dispersion characteristics for speakers and the maximum output subwoofers require to reach THX reference levels. It also tells us how many calibrated lumens we need to light up the screen to hit industry standards for brightness and contrast. We’ve carefully chosen our manufacturer partners because they provide the performance and function needed for high end home theater systems. Many of our manufacturers are rather specialized; discerning enthusiasts will likely agree that the companies we’ve selected make the best products available for bringing the Hollywood experience home. High End Home Theater Sources, Audio Video Receivers, Pre-Processors, and Power Amplifiers – Oppo Digital’s amazing sources provide reference-class Blu-ray playback as well as access to streaming media from many sources, including Netflix. They can playback CDs, SACDs, and stream audio over a home network or from an attached hard drive. As a step up from the Oppo, we provide completely silent (fanless), high-power custom built music/movie servers using JRiver Media Center. We use Yamaha audio video receivers (AVRs) and pre-processors primarily for their exceptional audio quality and parametric equalization. We deliberately avoid brands with mass-market automated room correction algorithms (such as Audyssey), because we can deliver better audio quality by manually calibrating to Home Acoustics Alliance Level II standards. For higher performance we use Datasat, whose RS20i and LS10 processors are truly state-of-the-art. Power amplification is provided by Parasound, whose Halo amplifiers are reliable high-current amplifiers with exceptional sound quality. Home Theater Speakers and Subwoofers- Acoustic Frontiers designs our home theaters to reproduce or exceed the performance of commercial cinemas. A key part of the cinema experience is high SPLs, requiring the speakers to work consistently at reference playback levels. There are very few driver technologies that have the power handling needed to deliver these sound pressure levels. Most speakers use soft dome tweeters which are not reliable when used in this application. Compression drivers are a suitable technology, as are air motion transformers, some ribbons, and planar magnetics. Once we’ve looked at the available products using these filters, there are really only a handful of speaker manufacturers worth considering. For the best home theater we always recommend Procella Audio, whose speakers use compression drivers on constant directivity horns. 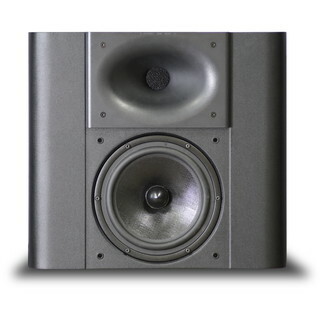 The company’s speakers are shallow format and easily integrated into baffle walls. A good alternative is KEF, whose new THX certified high end home theater speakers are more suited for those desiring a balance between music and movies. For subwoofers we use SVS, JL Audio, and Triad. Home Theater Projectors, Screens, and Video Processors – Reproducing the commercial cinema experience in your home theater requires wide, immersive viewing angles. This means using large screens which leave little room for the center speaker, which is the most important speaker in the whole system! Most dedicated center speakers are compromised and putting them above or below the screen causes a host of other audio quality issues that we recommend avoiding. For the reasons above we nearly always prefer to put the center speaker behind an acoustically transparent woven screen from Seymour AV/Seymour Screen Excellence. 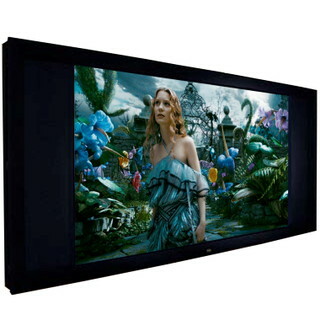 The drawback to large, immersive, acoustically transparent screens is that they require high-lumen output projectors. 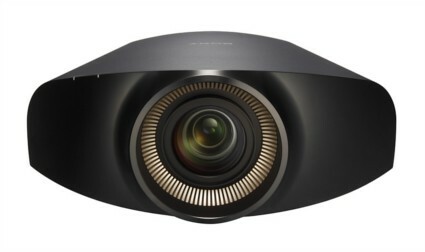 Our go-to projectors are from Sony, because they have provide exceptional image quality and black levels at brightness levels 25% higher than other similarly priced offerings. One final offering is Lumagen video processors, which enable us to perform color cube calibrations.